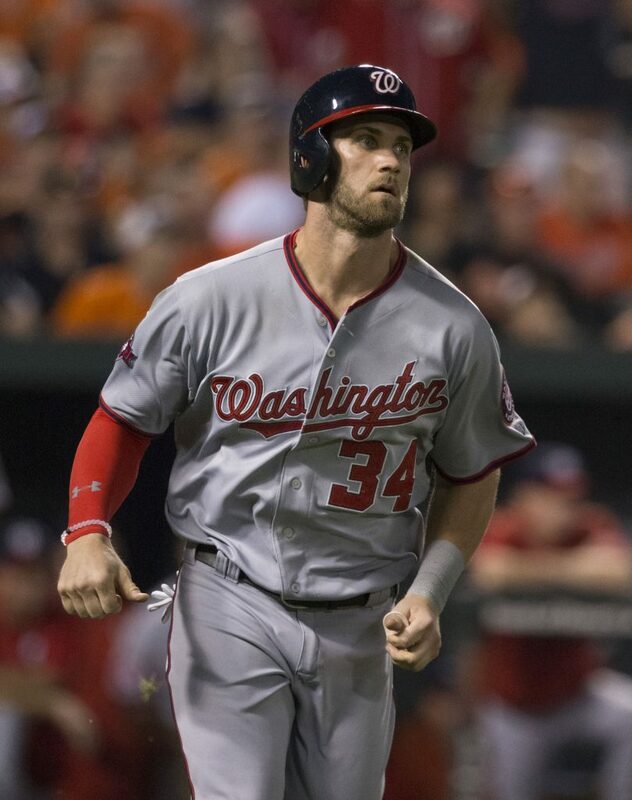 Image: “Bryce Harper” by Keith Allison is licensed under CC BY-SA 2.0. The 2019 Philadelphia Phillies will look to improve on a disappointing 2018 season in which the club missed the postseason after leading the National League East for most of the season. Manager Gabe Kapler will look to lead the Phillies to the division crown this season, and whether or not superstar free agent Bryce Harper signs with Philadelphia will have a major impact on the Phillies’ potential. With Harper on the team, the Phillies have a squad that can easily make the NLCS. Let’s pretend for the sake of this article that Harper goes somewhere else and the squad is what it is as of Saturday, Feb. 23 2019. Even without Harper, the Fightin’ Phils are still formidable contenders who should at the very least be able to compete for a wild-card spot. Let’s start with the positives and things to look forward to. For starters, general manager Matt Klentak and the rest of the organization made some big splashes in the offseason which will bolster the team’s depth significantly. Former National League MVP outfielder Andrew McCutchen, two time All-Star shortstop Jean Segura and the 2018 Silver Slugger catcher J.T Realmuto were all acquired by the Phillies either via trade or free agency. Regardless of what happens with Harper, Phillies fans should be excited to see these big names in the everyday lineup. The addition of McCutchen adds competition to an already crowded outfield, but in a positive way. With Rhys Hoskins no longer taking space in left field now that Carlos Santana is gone, the Phillies have Odubel Herrera, Nick Williams, Aaron Altherr and Roman Quinn all essentially competing for time in the outfield based on their hitting percentages. Throw in the veteran McCutchen into the mix of this young and streaky outfield rotation and hopefully he motivates everyone to keep their batting averages and overall play up. At the very least, the competition gives Kapler options to shake things up on the lineup card, which we all know he enjoys doing. While the outfield could see a lot of competition (especially if Harper is added to the mix), the infield is much more solidified. Segura is a lock at shortstop and will be the most all-around shortstop the team has had since Jimmy Rollins. Last year, Segura had a .304 batting average and posted 91 RBI’s with 20 stolen bases. Maikel Franco will return to his role at third base and will need to improve on his .270 batting average and 22 home runs if he wants to keep his job at third; the fielding is always there with Franco but his spotty hitting has been a cause for concern. At second, Cesar Hernandez should be the regular starter and will most likely share some time with second year infielder Scott Kingery. Kingery seems to be still in the Phillies plans long-term, but last year his weak batting numbers forced many people to wonder if he’s capable of being a major league starter. Kingery had 126 strikeouts on 452 at bats and will need to lower those numbers if he’s to stay and the team and not become another J.P Crawford or Dominic Brown bust. To round out the infield, Rhys Hoskins will return to his natural first base position and newcomer J.T Realmuto will man the plate at catcher. Realmuto, a 2018 National League All-Star, is a top three catcher in the league and boasts some of the best hitting numbers amongst all catchers with 21 homers, an .825 on base percentage, and 74 RBI’s. Expect him to continue to put up big numbers at either the third or fifth spot in the lineup seeing as Hoskins will most likely take fourth. Given the friendly hitting confines at Citizens Bank Park, I’m expecting Realmuto and Hoskins to combine for over 60 home runs, easily. The big question will be whether Vince Velazquez and Nick Pavetta can step up and provide consistency at the back end of the rotation. The organization took a big risk in not adding another starting pitcher from free agency and are showing a lot of faith in what will be a make or break year for these two young pitchers. As for the bullpen, the newly signed closer, David Robertson, posted similar numbers to breakout star Seranthony Dominguez in 2018. Robertson’s 16 saves and 83 strikeouts along with a 2.90 ERA gives Dominguez some competition, and we’ll have to see if Kapler decides to go with a consistent closer or use these two interchangeably depending on the scenario.. This could very well be the most complete team the Phillies’ faithful has seen during this decade. Offensively and in the field this club is one of the division’s best, but the pitching could prove to be their achilles heel once again. Personally, I’m predicting a final record of 86-76. That is unless they spend the money they promised and sign Harper. In that case, all bets are off and we’re looking at 101-61 and a National League pennant.